There are a lot of great QuickBooks tips, tricks, work arounds and short cuts that help improve our efficiency and productivity working with QuickBooks. Whether you are a small business owner, QuickBooks ProAdvisor, accountant, bookkeeper, tax professional, IT consultant or other, this post and the comments should be valuable to you. NOTE: To enter the weekly contest this week to win QuickBooks Accountant 2012, you need to subscribe to this blog AND comment on this post. Share your favorite QuickBooks tip, trick, work around or short cut in the comments below. If you are new to QuickBooks, feel free to post a question in the comments for others to help you. Subscribe to the comments of this post so you won’t miss the great information shared by others. My customer payments are being posted into another program. I need to record each customer’s payment in quickbooks but the invoices are not generated in quickbooks. Either you can import the invoices from the other program or enter the payments into QB as a Sales Receipt. I used network payment extensively. It’s inexpensive (50 cents per transaction regardless of amount), quite easy to use– for us and for our clients. I recommend it! Great product, the tips are wonderful as are the comments. Just subscribed and look forward to reading more of your QB tips. Accounting jobs will a lot more easier because of your accounting tips. Hope I could join to your weekly contest. I want to pick up pyaroll clients but I want to first learn all in and out of payroll using quickbooks. I do know the generally how payroll works. Which course from quickbooks will you advise me to take in order to have better ,clear detail understanding of payroll? Please Advise. Your advise has always been valuable to me. Payroll can be quite complex with a lot of details. You may look for more info at http://www.irs.gov — and they have some videos and online courses which may help too. There are links to some resources on my website https://www.longforsuccess.com/resources/websites From within QuickBooks, go to Help > Learning Center Tutorials to watch those videos on payroll and you can practice in a sample file. One thing I love is the app http://www.viewmypaycheck.com which is free. If you offer payroll services, this is a wonderful service to offer the employees. They can view history of their paychecks and W-2’s. I don’t think the other payroll companies offer this, so it’s a great service to offer & marketing tool to use. Just starting my practice (after 15 years in industry) as a “sole.” This is now in my favorites folder. This blog has been most helpful as I navigate quickbooks. Thanks for your help! I’ve been using QuickBooks forever and never knew about Ctrl-Y — this is fabulous. My personal favorite work-around is running an outstanding checks list — just run a Balance Sheet, click on the number next to the checking account, and modify the report to show only “uncleared” transactions. I do this for clients every month and write off anything that’s crazy old. Not sure if this post is for the desktop version only, but does anyone know how to undo a previous bank reconciliation in QuickBooks Online? Help says you literally have to uncheck each box. I have a bookkeeper who realized her beginning balance changed since the last reconciliation and is having trouble figuring out what caused it. There’s no discrepancy report or undo previous reconciliation like with the desktop version – ugh! Nancy I’m pretty sure that you can undo the bank rec in QuickBooks Online now — it was a recent update. Thank you for the tip about the transaction tab. It is great to have a place like this to go to share and learn. I second Tricia’s recommendation for the calculator function. One of the simplest yet not talked about, it the calculator function in most numerical fields! My clients love me when I tell them to just hit the + button or any other math fuction key and it brings up the calculator. You would think I just saved their life when you show them this! Thanks for the information you provide and looking forward to reading your newsletters now! One of the recent tips made me think of another…………if I have a client with more than one Company (data file) I’ll use a different color for each QB ‘desktop’ to remind them which data file they’re using. Michelle: I love, love, love your QB tips. I would love to add that you can use your vendor and customer types to pull all kinds of fun reports. I use my vendor types to run my Use Tax Return Report. It is much easier coding a vendor out of state than to have to go through all of my bills and figure out what a client owes to the State Board of Equalization! I’ll post a link for you guys when I have some time. Michelle, I like how you keep us updated with all the latest and greatest from Intuit. One of my tips that I find my clients don’t know about which drives me nuts is how to run a report with that will leave out the accounts that have a zero balance. It’s easy to do, go to the Display tab (top left). On the next window, click on the Advanced button right of the window. On the next window, under the Display Rows, mark non-zero, click OK. Click OK again. Now you have a clean report showin only accounts that have a balance. this doesn’t work for a quick report. I need to show a client retainer report without all the zero balances. Just the ones that have a positive balance. Under Advanced it only two options: Include and Open balance/aging. What a nice site… I have been using QuickBooks for years and I like seeing new tricks. I enjoy learning new things – Thanks! I guess you can teach an “OLD” dog new Tricks! Thank you for the resources & tips – I just learned something new (monthly P&L)! Great tips, Michelle. Here’s one I use for companies with 2 or more bank accounts: I make each account a different color, like green for the checking, yellow for the savings, blue for the money market. The colors help me keep transactions in the right accounts! I am relatively new to the Quickbooks community and very new to the Sleeter Group. I am enjoying all the information overload. Thanks for your contributions! One of my most used work arounds is to create a credit card account for expenses paid by the owner with business funds. This way I don’t lose all the vendor detail. Thanks for the tips Michelle! Very, very helpful!! Thanks so much!!! I just used the new QuickBooks 2012 Condense Data. My client needed to have a file that only showed information for the years 2005-2007. It worked great and made me the hero for my client. I am looking forward to reading great tips & tricks in this blog. Thanks Michelle. I am a new subscriber to “Long For Success” tips and tricks and I already appreciated the useful information I am finding, especially in the way of creating different reports. Thank you! I love reading this blog! I am looking forward to becoming a Quickbooks Pro Advisor and participating in all the discussions! “Keep open eyes, open ears and an open mind”. It’s never too late to learn new ideas. Thank you for sharing yours with us & the inspiration to pass it on to others. Thanks for all the great tips. I have been using your tips for years. They save me a great deal of time and make me more efficient. Thank you for sharing your knowledge with us. In order to better serve our clients we have to “always be learning”. These resources help us do that. I have been in touch with you through your LinkedIn Group but this blog seems to have more resources. Thanks. Just back from vacation and looking forward to jumping back in with both feet. Michelle, your tips are always great and very useful. Especially when I have to deal with clients that always seem to find a new way to mess up their QuickBooks. Thank you Michelle for sharing so much of your QuickBooks knowledge! Love learning new tips and tricks! Even with constant use of QuickBooks on a daily basis, it’s amazing how much I keep learning. My newest client has several Federal Government research contracts. Each contract has a different contracting office, i.e. Mississippi, New York, Ohio, etc. I set up each contract as a separate customer. Any pitfalls in this set up? Any tips on special handling needed for government contracts? Michelle, you do a great job of keeping us all up-to-date with the latest from Intuit – much appreciated. I’ve used QuickBooks for a very long time, but there are always new tricks to learn. Thanks for providing this resource. Thought I knew a lot about QB’s, then i found your website throough LinkedIn. Thanks for sharing your knowledge. Thanks for all the great QuickBooks information you provide….one of my favorite shortcuts is being able to memorize transactions with the ability for QB to remind you and then enter them automatically for you each month…. Thanks Michelle for sharing this information. I heard you teach at the last QB update in Denver last year. You are a wonderful teacher and look forward to receiving updates from you blog! Thanks for the great tips. Building my business and it is always impressive to show clients new tips and tricks. Thanks again. Excellent discussion on not using Dropbox and Sugarsync for Quickbooks file sharing. I am learning accounting in college and I need a Quickbooks program where you can post adjusting entries and actually mark them as adjusting entries. I love Quickbooks and its the easiest program out there for what all it does. I hope that I am able to get a copy this time around. Looking to improve my QB Bookkeeping Business. I mostly work with Churches and non-profits. Thank you for all the tips! Always pick up a good tip from your info. Thanks! I have a new client who owns an auto dealership and has been using QuickBooks but would like help in incorporating an industry specific add on. Any suggestions? This site is FANTASTIC! I felt like I wasn’t maximizing my QB software before. Keep up the awesome work! One of the short cuts that I use often and it seems to impress people is the built in calculator. Clients don’t realize that they can calculate within an active field. They often open up a calculator or an excel file and punch in a few calculations. Once they start to use to the built in ‘+’ ‘-,’ etc. they start saving time and can use that extra time to focus on other aspects of their business such as growth, management, etc. Never thought of putting a QB file in Dropbox because they are so notoriously hard to email. A little disappointed that one really can’t but not surprised. Oh, Intuit. I hope they ask you to do a QuickBooks 2012 class in KC (or OP) this year. The past ones have been SO helpful, and I hate internet instruction – I much prefer it in person. Thanks! I use the daily sales summary for my restaurant clients and it really helps speed up the bank rec process if you separate MC/Visa from Amexp and from cash/checks. I am also switching one of my small retail store clients to the daily summary by product line this will save the client hours of time each month. One of the most helpful things I started using just this year is the account reclassification in the accountant’s edition of Quickbooks. This has saved me so much time in reclassifying transactions for my clients that are not well versed in categorizing their expenses. If you are an accountant and have not made use of that yet… check it out. I love your tips for QuickBooks. I’ve already read one of your books and did start my own bookkeeping business. You’re awesome! These tips are great. I highly recommend them to anyone who is a QB user. Love learning new keyboard shortcuts. Here’s some I use all the time–if I’m in a ‘date’ field I can get to today’s date quickly by hitting ‘t’ key………also use ‘m’ (1st day of month), ‘h’ (last day of month), ‘y’ (first day of year), ‘r’ (last day of year)…….and the ‘+’ and ‘-‘ keys to move the date forward of back. I have been following your blogs and information for some time now. The information that you provide is very valuable. Thanks for being an inspiration for those of us that is starting out and trying to get the business together. Your tips and advice is great information. I really found the dropbox to be helpful in my business. Thanks for the great tips, Michelle. Thanks so much for all the tips Michelle. I just got my 2012QB in the mail over the weekend. Have all the installation issues been resolved? Thanks! Thanks for the Deposit transaction detail. Just never thought to go about it that way! I have been using QB since the mid 90’s, and the constant upgrades and changes have been huge. Now that I have my own consultng business, most of my clients have been moved to QB and teaching professional development classes for QB sells itself. One feature I like that is extremely helpful for my small business clients is the “modify” section of the reports and then the abillity to memorize the report to look just like they want it allows them to understand how the business is doing. I can’t say enough about QuickBooks, and I have used a lot of different types of Accounting software in my past jobs, this by far is the most reporting options built in than anything I have used. Thank you for the opportunity to blog about it. Great information about Dropbox. Thank you for all you do! Thank you so much for setting up your blog. I am excited to learn from you and others who post here. As always you rock! The information you provide is just outstanding. Thank you for being such a great resource. Thanks for the great tips! The Daily Sales Summary is extremely helpful! Great tips. Will always look forward to qb advisor guidance from michelle long. Is it too late to get my qb 2011 certification? I am relatively new to QB, only 3 years as a ProAdvisor. I love the work and helping technology challenged clients. Signing up to this blog has provided such a wealth of information. I wish I had more time to read everything! Great Trick for the report of “Bank Deposits” with a total. I have a client who will be using this trick to report cash deposits to the CFO and they will not have to attach a calculator tape to show totals. I feel very fortunate to have come across your website/blog/linkedin group, through linkedin. The information you provide is priceless! I have also recently purchased your home based bookkeeping book, and am excited to read all it has to offer! Thank you for everything you do! Great tips. I am always looking for ways to move QB files between clients and accountants. Moving files is so cumbersome and takes too much time. Look forward to reading more tips about how to use SaaS products to make the accounting process move a little more efficiently. Thanks for your all of the information and advice that you provide. Very helpful Blogsite for helping us old folks re-inventing themselves. Hiring into conventional 9 to 5 jobs seems like a thing of the past. Sharpening up long ago unused skills is becoming very important to marketing onself in this strange economy that we haven’t seen the likes of since the mid 1970’s. I’m putting my hooks into QuickBooks…. And thank you for your helpfulness to the QB community. I am looking forward to testing the Balance Sheet by class in the newer versions of Qbks for one of my clients. If it works, I may be able to “throw away” Excel!!! He is using 2009, but planning to upgrade this year. Thanks for useful tips. I enjoy reading your blog. Michelle, thanks for all of the great tips. I can’t wait to read more. Thank you for ALL of the useful information. You make my job easier! market my business. The only way I have found clients is through referrals and I know that probably is the best way. I would like to increase my clientele more and wanted to ask a your thoughts on this. The economy has hit me hard these past few years. I am trying to build it back, but it has been a slow process. Thanks for all of the great tips. We service quite a few restaurants and the Sales Receipt/Daily Sales Summary is a great tip for some of our clients. I love to learn new things to make my life easier. Thanks for the tips. Can’t wait to share with my clients. I always appreciate the information you provide in your blog and on LinkedIn and Facebook. Most people don’t realize the sheer amount of information a bookkeeper has to know, and your generous sharing of knowledge helps us all. Michelle, I can’t say thank you enough for all of the information you so generously share. 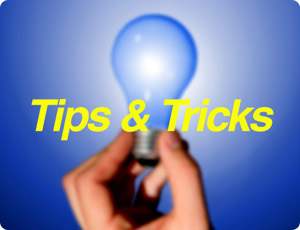 I’ve found many useful tips and ideas to help my clients improve their QuickBooks skills. I frequently use the profit & loss by month report for a number of reasons, but find it especially useful when planning a budget for the upcoming year. Thank you for your inspiration and support. Thank you for the blog and all of the helpful information. I find it very informative. Hi Michelle. I got the 2012 QB in over the weekend. Are all the installation problems cleared? Thanks so much for all the useful information you provide. I saw a posting on an out of balance between General Ledger and A/R detail. There was a suggestion to rebuild data, but it seems that this may still be a problem to fix. Is this a problem that QB Intuit is working on a solution? Thanks for your hard work to provide this blog to QB users and advisors. I’m trying to start my own bookkeeping business. The only thing I have a problem with is marketing. Where do I start? I like how your tips tell who might get the most benefit from it – like on the Daily Sales Summary. Thanks for sharing all these great methods! I love the quick reports. They are so time saving. It’s amazing how even the simplest things can be presented to a client who will think you’re amazing. Case-in-point, the deposit report is simple – we probably all knew how to create it – and will give a client a much more readable and useful report than the Deposit Detail report that’s standard in QB. Another example is the Monthly P&L. Simple, easy to do, but maybe beyond some of our clients. Thanks for the insight. Your book How to Start a Home Based Bookkeeping Business is full of useful information. I’ve also really enjoyed all your helpful posts. Been following you for a while. Love the tips and all the knowledge shared on this site. I appreciate all the information on your blog and all the posts. I just bought your book How to Start a Home Based Bookkeeping Business with the hopes that in a few years I can do this. Again – Thanks for all the information. Thanks for all the info! Love the tips that you don’t get from the manuals, it’s the personal touch of a QB master! I love this website and your books! But one tip I’ve loved is the memorized transactions. I no longer have to wait to get the statement to remember all the little charges that will automatically occur. QuickBooks does it for me!! Saves me lots of time. I like my trick on fixing a prior bank reconciliation. (I made a You Tube video showing this, too. Search for DebbieKilz on You Tube). If you have to delete a reconciled transaction – for example a sales tax payment was entered by your client as a regular check and not a Sales Tax Payment – just delete the check. Now do it again using the correct form. Now open the Bank Rec window. Change the date BACK to the last reconciled statement date. Be sure to change the Service and Interest dates, too. Put in the Ending Balance again. Now just check off the amount showing. It’s that easy. So don’t panic if you have to change a reconciled transaction. Just use my tip and Voila! Hope you like this tip. Let me know. I love your blog and all posts. It is wonderful to become an ‘expert’ user through reading and using tips and tricks. Thanks for your dedication. Thanks for your blog & your books. I am starting up my business again & have found your information easily readable, understandable, and helpful. Love someone’s tip on Open A/R. I stumbled across it recently & it’s so helpful. I too use Memorized Transactions frequently since I am my church’s Treasurer. It saves time every month preparing checks, and reminds me to look for any missing bills. Your blog is very helpful and I enjoy reading about your tips. I appreciate your work on this and the facebook alerts that you put out. Thanks so much. Thanks for so MANY great tips! I look forward to reading MORE. Michelle–I enjoy reading the blog..it is very helpful! me. I love all the short cuts that you show, they definetely are a great help. As I am growing my business, I have found Michelle’s knowledge and helpful hints to be invaluable. I am so glad I can pull from your resources to continue to learn & grown with my business. Thanks for sharing you knowledge, the tips are great and I am sure that this will prove to be a valuable resouce. I didn’t know about checking DB fragments on files that are not performing well. I have a few clients with that problem and will review the next timeI’m working with them. This year l started an accounting services business and l use Quickbooks for my clients financials. I have used Quickbooks in previous and was not able to enjoy the other benefits because of user controls (which are great for segregation of duties). Now l have full access as Admin, and l am seeing all the benefits its offers. I especially love the ease of creating reports in a few seconds, and the different kind of reports one can access. Michelle I really appreciate all the work you do to help others! I know when I see a post from you that it is correct, to the point and pertinent! Thank you! I love all the keyboard shortcuts, and use the +-*/ built in calculator on a regular basis. I had never noticed the transactions tab either. Thanks! I am new to using Quickbooks but I am really appreciating the ease and user friendliness of it. I think the more involve I get with it the more questions I will have. Tip, tricks, and short cuts are fun to learn. Last night, while at the QuickBooks Talk & Client Swap meetup, I learned that you can register your copy of QuickBooks without having to fill out the online registration, if you already have the validation code by clicking Ctrl + R + P.
If you have a non-profit, a good report to run for donors is to set them up as customers and on the “additional info” screen, add “Donor” as a rep. Then you can run a transaction detail report by “Rep” and filter it for “Donor”. I never knew that you could add a custom report to the icon bar by clicking view. That is very helpful. Here is a tip: While using an item, you can press CTRL + L, then E (while still holding CTRL) to jump to the Edit window for that item. I also like the combo ALT + O, then L to open the entire Item list. Updating the icon bar and the account prefill for vendors are always best bet timesavers for clients. Thanks, Michelle for putting together a great website and resource! Thanks for the Bank Deposit summary report. This is something that I can use for one of my clients. Want to get rid of a column for an onscreen report? Left click and hold by divider at top of the page and drag it to the side off the screen. Thanks Michelle for all the tips. I always learn a lot from you! Thanks!! Great information, and great odds too. Aloha! Thanks for the details on the deposit listing with a total! I’m also trying to find a way to get a deposit listing by ITEM that was paid for…any ideas? Thanks Michelle for all your help here, your book, your LinkedIn group, the ProAdvisor Community! Hey Michelle….. you know I’m a FAN! I was just at a local NAN meeting with some other advisors and your name came up and was tagged to words like “inspiring”. I not only read your blog, I share it… even to whom I believe to be my competition. Good information is always worth sharing! Take care. Thank you so much for sending us such helpful information! It has really made a difference. I learn something new from every newsletter. Thank you, thank you, thank you! As always, your information encourages us to read more and learn as much as possible within QuickBooks so that we can be an asset to our clients. Great information on the banking deposits and sales receipts. I have been using QuickBooks for many years and I am always learning something new. Thank for your blog on banking deposits. You are truly a great motivator and mentor to all. Thank you Michelle for you willingness to share your knowledge! Your tip about the report of bank deposits with total was just the answer I was looking for. Saves me a lot in ink and paper!! Not to mention time in exporting and totaling myself! Love the tips. Subscribed to the Blog, i hope it worked. I frequently use the F2 key tip to show my clients how big their file has gotten as well as the database fragments. Then I go into their folder where the transaction log file is located and show them that usually big file (because they haven’t been backing up within the program). Then,I tell them why it is important to back up their company file to preserve that file’s integrity (copying it to third drive can mean copying a corrupt file) and suggest that we back it up whenever they close it. I am new to your site and I am LOVING all the info. Some of the tips are fun to know, but the ones I will probably use most right now are the keyboard shortcuts. I always forget they are there! Thanks! Thanks for the tips Michelle. I love using the memorized transaction list for payroll entries and end of month depreciation. I don’t have to keep redoing them every month and it helps me to remember to record the transactions. Hi Michelle, thanks for providing this resource of tips and tricks. What a great way to share!! Two of my favorite tips are saving the desktop and changing the number of previous open company files. Get the desktop to look just the way you want it to look, open Preferences; Desktop View; and click Save Current Desktop. This is especially convenient when opening client files where the bookkeeper loves to keep report after report open when they close the file. This saves a lot of time by not having to wait for all the reports to build. To change the number of companies that show up on the No Company Open screen when the program opens, go to File, Open Previous Company and at the very bottom you can Set the number of previous companies. If you change that number to 1 then only the clients current file will show when the No Company Open screen comes up when opening QuickBooks. These tips are very useful. They are written such that I can easily understand the directions. Also, the illustrations are very good. Thank you! Tracy- have you tried building a report using the payroll items? Thanks for all the great info and for the Webinar yesterday!!!! Great tips Michelle! What a wonderful resource your site is. I’ll definitely be popping in to read about more tips & tricks in the future. Tip: Memorizing reports, with my personal “tweaks” under specific groups (in the Memorized Reports List) saves me a lot of time when needing to email reports to investors, or the owner, or the CPA. Everyone wants something different, and memorizing their specific report saves me the time of recreating it again and again. And, I can pull up and print multiple reports at once – this is great for end of the month reporting to my companies with different “committees”. Question: I have yet to find a report to show me the time posted for employees, before creating the paychecks. And, I want it to show standard, overtime, vacation, etc. The only “Time by Name” report that comes close gives me a lump sum of hours. I want to see total hours for each payroll item – and like I said, I want to see this before creating the paychecks. Does anyone know a way to view this info? Thank you Michelle for taking the time and effort to help us run our businesses more efficiently and productively. Your tips and tricks will certainly be beneficial in accomplishing just that. Thanks for all the good info – you’re a great help! I enjoy all the helpful information you send out in your email newsletters and I put a lot of it to good use. Thanks for all you do. Thanks for the great tips. I especially like the keyboard shortcuts. I do a lot of data entry for one of my clients and I wasn’t aware of a couple of those! I am so glad you posted the info on the sales receipts. We have several clients that we do a daily/weekly sales summary and entering the payments portion has always been a challenge. As soon as I saw your post, I shared it with my co-worker and we are going to start the new process with next month’s bookkeeping!!! Thanks a bunch for such a great tip! Jill — I’m glad it will help you. However, I would encourage you to test it in a sample or practice file first to ensure it will work for your situation. Check the reports, sales tax info, etc. to ensure you will have the info you need. Michelle, thanks for the great tips! Is there a way to delete a company name from the list in the start up menu? It was downloaded wrong and I don’t use it. Thanks for the tips. I learned about dropbox and other such sites and then sent the link to one of your other tips to a client. Very helpful info regarding DropBox and file sharing. Thanks. As someone just starting a business and getting things set up, I look forward to more of your posts. And the tips and comments from others are a great help too. I cannot get enough keyboard shortcuts – thank you! My company does a lot of Job costing and the Memorized reports is a lifesaver. We can memorize past estimates and use them for future comparison, love the way the report stays frozen in time but still easily accessible in QB. Thank you so much for the tips and tricks! Giving step-by-step instructions and illustrations helps a lot. Thanks Michelle for all the great tips, and for opening it up for others to share theirs. Thanks Lynn Miller for the tip on A/R and A/P balances – that will save a lot of time! Michelle, I really appreciate you sharing great information with us. You have been a great help to me getting my questions answered. The information you have provided have been very helpful. Truly appreciate it all. Michelle, Love the tips and tricks. As always they are great for beginners and long-term users. Your site is fulll of very useful help and information. When I have to make a lot of changes to various lists, love the export and import feature to and from excel. This saves a lot of time, especially with inventory items. I can copy and paste easily down the column for multiple changes. Thank you for sharing your time and talents with the tips. Here is a quick tip on adding even more value to the P&L report – or other reports needed regularly: Add it to the Icon Bar! Great tip for creating a monthly Profit & Loss Statement. No need for export to excel and cut and paste. Can it also include the %change increase or decrease month to month? That may be an excel step. Though it’s hard for some clients to get their heads around, treating petty cash as a bank account that MUST be reconciled will “Reduce Abuse”. The same goes for cash drawers for retailers and safes. I had not paid attention to the Transactions Tab in the Centers. That’s a really great quicktip that I will use and tell my clients about. I also like the Control Y feature when I’m at a client’s and they just have the Pro version. This is very helpful especially when I’m used to being able to just click the Journal button. Also, when I’m on the Quickbooks ProAdvisor website looking for questions I might be able to answer I’m always amazed that people haven’t checked the help site before posting because I will go to help to look for something and the answer they were needing is right there. I love to be able to see quicktips other people use that will make my job faster. Here’s one that has been helpful to me. When you have a balance in A/R or A/P on a cash basis Balance Sheet. You can click on the balance, then modify the report to show paid status and then click open and it will give you the items that make up the balance so that you know if it’s something you can fix or if it’s just an item that points to another balance sheet account. This has saved me alot of time sorting thru the list to see what might be outstanding. Thanks for the tips. I love your clear step by step instructions with visual helps. I learn more ways to use the filters on reports every day-thanks for the bank deposit report with a total! I just signed up for your blog and WOW was it worth it. I have been using Memorized Transaction for this purpose and it was complicated to separate the sales taxes for the various jurisdictions. Thank you for this tip. I am looking forward to doing it this way in the future. Kay — you should track sales taxes according to the level of detail you will need to file the sales tax returns. I never knew about the built-in calculator, and I had forgotten that Control-Y brings up the Journal Entry. Handy! And the keyboard shortcuts are great. I need to memorize a few more. One of my favorite “quick tips” is using the Memorized Transaction List for estimates – I work with construction companies who have long and detailed estimates and it is great to have a fully detailed transaction to start from. Love the website and the great tips and tricks. Always nice to find shortcuts and quick tips to help make the days easier! Thank you. I like the sales summary input, but I am curious if you lose any detailed reporting? For this type of business I assume you wouldn’t. I imagine it is only true if you want to track sales by customer.